Is it possible to get somewhere if you have no earthly idea HOW to get there? When I was a teenager, my father used to harass me to read a book called “If You Don’t Know Where You’re Going, You’ll Probably End Up Somewhere Else.” It sat on my nightstand for three years. I never read it. Conventional wisdom would probably bear out that interesting book title. However, a few weeks ago I was headed to Milford, Connecticut with my family to go meet my newborn niece, Grayson. I knew how to get where I was going, but traffic was backed up and I needed to re-route. So, for the first time ever, I entered the address into my GPS. “Prepare to turn right in 500 feet,” she told me. I had zero idea where I was at that point, and it occurred to me that I wasn’t in any way nervous about it. The GPS had control, and I’ve grown so accustomed to using it that I just follow along with 100% trust and certainty that it will take me where I want to go. So much so, that I seldom even pay attention to where I’m actually driving. I couldn’t take that route again (by heart) if my life depended on it. Maybe a new book title would be, “As Long as You Know WHERE You Want to Go, You Don’t Have to Know HOW.” Its relatively simple to figure that part out. Conventional wisdom is not necessarily true. Conventional wisdom is additionally often seen as an obstacle to the acceptance of newly acquired information, to introducing new theories and explanations, and therefore operates as an obstacle that must be overcome by legitimate revisionism. This is to say, that despite new information to the contrary, conventional wisdom has a property analogous to inertia that opposes the introduction of contrary belief, sometimes to the point of absurd denial of the new information set by persons strongly holding an outdated (conventional) view. This inertia is due to conventional wisdom being made of ideas that are convenient, appealing and deeply assumed by the public, who hangs on to them even as they grow outdated. This inertia can last even after the paradigm has shifted between competing conventional idea sets. Now we’re getting somewhere! I feel like the Myth Busters! So let’s assume that – in today’s new world – you don’t really have to know how to achieve your goal, as long as you have one. Does it stand to reason that if somebody else has already accomplished what you wish to accomplish that they might be able to tell you how to do it too? This concept clearly has its limits. I can’t throw an un-hittable cut fastball just by asking Mariano Rivera how he did it. I can’t jockey a horse in the Kentucky Derby. Some goals clearly require a certain physical size or ability that we may not and cannot posses. 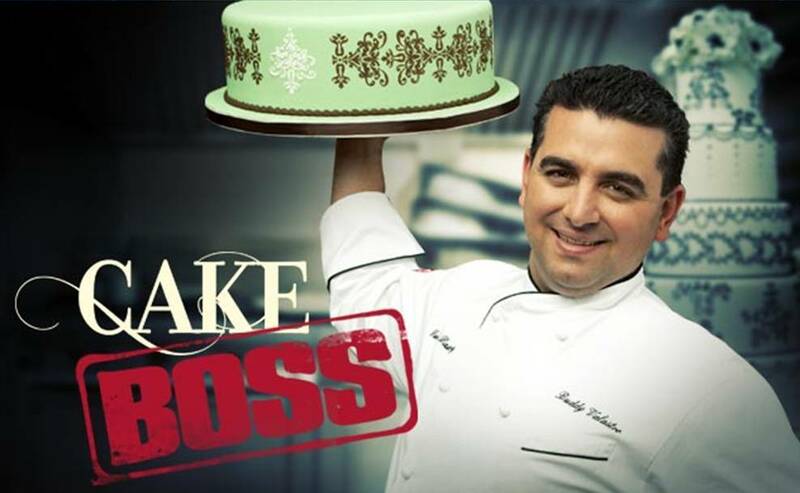 But if Buddy Valastro, The Cake Boss, can bake a perfect cake . . . hmmm. Can he show me how to do it? The actual baking process would be a snap. Just be coachable and follow his recipe precisely. That means, don’t change anything. Do it EXACTLY the way he does it. The decorating part will take a lot of time and practice. But if Buddy is willing to teach you everything he knows, and you are willing to shadow him, follow his advice, and put in the time, eventually you can be a “cake boss” too. So I guess this week’s not-so-conventional wisdom would to identify what you want to do in life; something that makes your heart sing. And then find somebody who already did it and do what they did. Great point. I have applied that mindset to many things. If it has been done than that means I can do it if I follow the same process, exactly to the tee. Most people get discouraged and upset but it may not happen right away; however with repetition and getting better with doing the same thing, like baking a cake. You will eventually be able to master it.